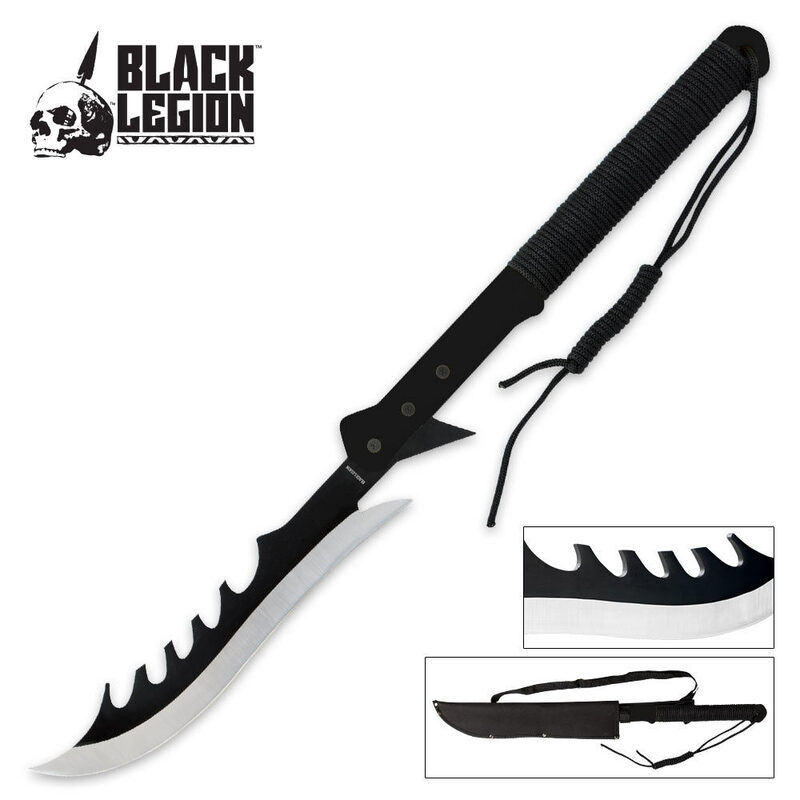 Black Legion Death Rider Machete | BUDK.com - Knives & Swords At The Lowest Prices! The Black Legion Death Rider Machete is one fierce machete with its jagged blade design that makes it look like it would be carried as the Grim Reaper’s alternate weapon. The 11-1/2” stainless steel blade is super sharp and rust resistant. 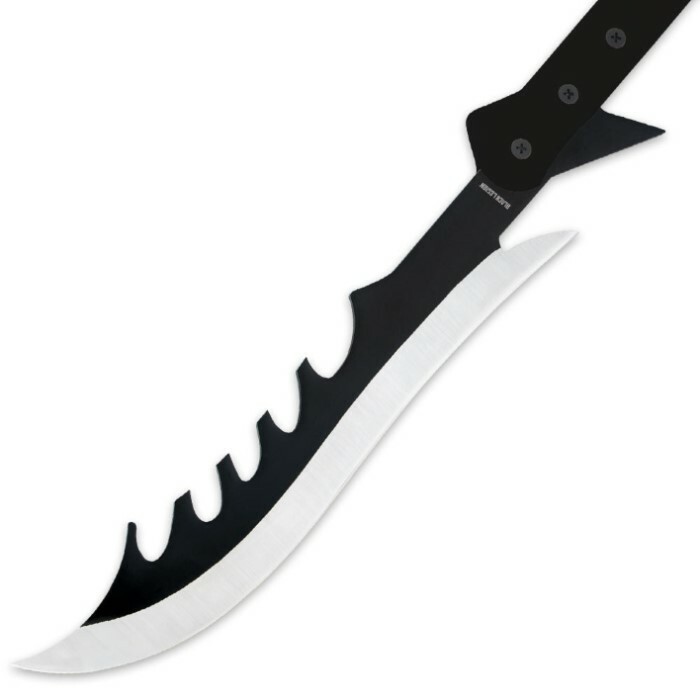 The sturdy ABS handle is the color of bone which makes it look even more like Death’s weapon of choice. 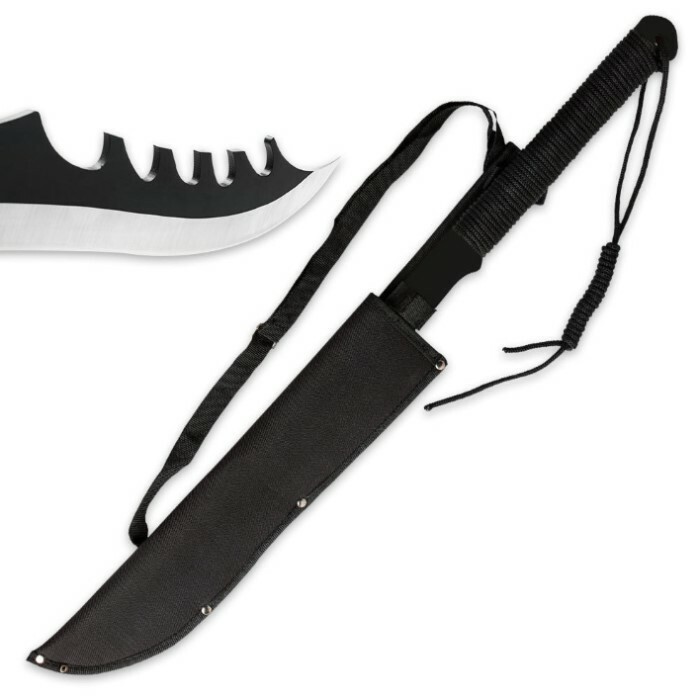 It is 27-1/2” overall length and comes with a tough canvas sheath with nylon shoulder strap. Really bad sheath for the blade.